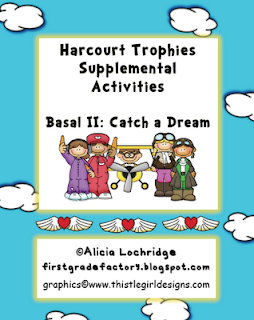 Now available Harcourt Trophies "Catch a Dream" Basal II supplement for guided reading groups and centers. Stories include: Dan's Pet, Boots for Beth, Space Pup, Where Do Frogs Come From?, Try Your Best, and Fun with Fish. 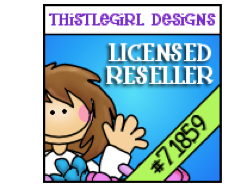 Activities are specifically geared towards the rigor of Common Core Standards. 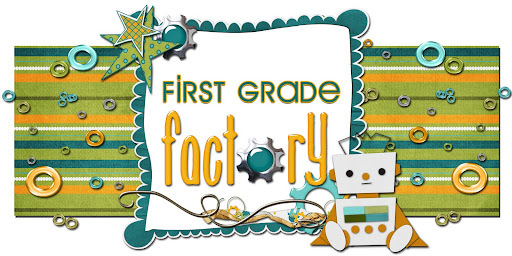 Materials can be used in a writing center, reading center, phonics center, pocket chart center, game center, & art center. *Bonus writing templates, graphic organizers, and flip books that can be used interchangeably with each of the basal stories. **Directions, Harcourt Trophies Focus Skill outline, and Common Core Standards List. THANK YOU. . .THANK YOU. . .THANK YOU. I just awarded you the Versatile Blogger Award! Have a great week! Hi! I also awarded you my versatile blogger award! Hi! I am wondering if you will continue posting these throughout the year for each theme? They are fantastic!! You have a gift! Thank you! We love using your supplements! I hope to see you add more of the themes soon! My name is Alicia Lochridge. I was born and raised in Las Vegas, Nevada. I worked for the Clark County School District (CCSD) in Las Vegas, NV from 2003-2014. During this time, I taught third, second, and first grade; in addition to serving as an assistant principal for grades K-5. For the past year, I have served as the assistant principal for North Park Elementary School in Radcliff, Kentucky. As an educator and administrator, I aspire to exemplify excellence and promote positive standards to enhance the education of ALL students. Can Seeds Grow in a Straw? Teacher...What Do I Do Next?? First Grade Factory work is licensed under a Creative Commons Attribution-NonCommercial-NoDerivs 3.0 Unported License. All blog posts are the intellectual property of the author, and are protected by international copyright law.